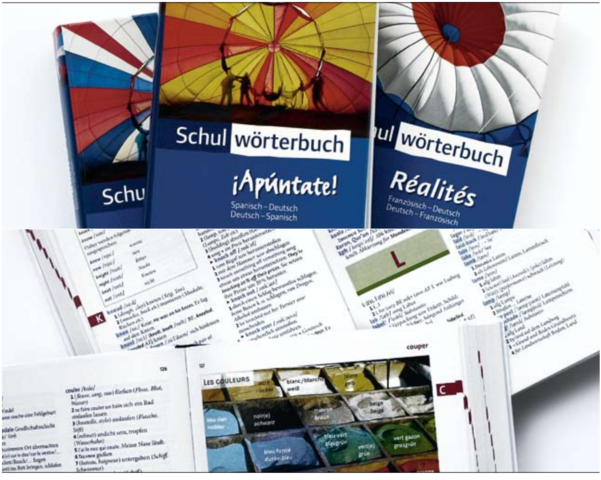 Cornelsen Verlag, part of the Franz Cornelsen Bildungsgruppe, is one of the larger German schoolbook publishers. The new Cornelsen school dictionaries are modern, made to last, and perfectly adapted to the textbooks on which they are based. The same goes for their production workflow. The editorial team configures the content in the XML content management system for InDesign rough page makeup, which allows them to estimate the size of a work at any time. At the same time, quality assurance is supported continuously by automatic Schematron checks of the XML export.